Does Calorie Counting Work for Weight Loss? Let's take a look! 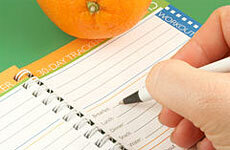 Home » Ask The Trainer Blog » Men's Fitness » Does Calorie Counting Work for Weight Loss? This is not the article you probably expected. This is not an article that is going to tell you that some foods are superior to others, how quality of food is more important than quantity, or how certain macronutrients may be better than others. This article is going to tell you why people’s weight loss efforts are unsuccessful when counting calories and why sometimes counting calories simply does not work. One’s calorie counting is only as good as their accuracy and consistency. Forgetting to account for meals, snacks, or drinks throughout the day in a food journal may cause an individual to under-estimate their daily calorie count. This can lead to confusion and frustration when one doesn’t lose weight when they believe they are eating a particular amount of calories. Inaccurate serving sizes are another way individuals can under-estimate their daily calorie count. Attempting to gauge serving sizes using your eyes only is a recipe for underestimation. More often than not, the nutritional serving size is far less than the average person consumes. Miscalculating serving sizes can also lead to frustration and confusion for the exact same reason as inconsistent food journaling. Consistently logging your meals beforehand and accurately measuring your serving sizes, can help you avoid the some of the frustration associated with not losing weight while counting calories. Although there is nutritional information listed for a good majority of restaurants, this does not mean the listed information is 100% accurate. Chances are every restaurant you visit regardless if it is the same restaurant or same chain restaurant, is going to have someone different preparing your meal each time. Some workers may prefer to cook with more ingredients, such as oils and butter, than others which means whoever prepares you meal has a direct influence on what you are eating. These influences can lead to differences in what the restaurant has listed in their nutritional information and what you’re actually eating. I am not saying that you should never eat out, but I am saying the differences between the nutritional information listed and what you are actually eating could hinder the accuracy of your calories in your food journal. If you tend to frequent restaurants, be aware this may be hindering your weight loss efforts. 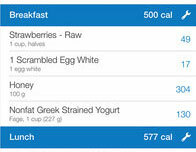 Generally, calorie counter apps allow for their users to add foods into their food database. This is an excellent way to expand a food database and make the app more user-friendly. After all, who wants to enter in the nutritional value for all the food they consume. However, when choosing foods to add from your food database, the accuracy of the food you enter is only as accurate as the user that input it. 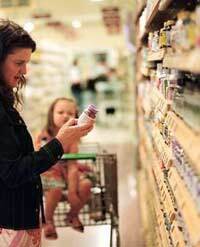 If the nutritional value of the food you are looking to enter looks too good to be true, it probably is. Whenever entering any food into your food journal app, it is a good idea to double check any foods that have nutritional values you are not familiar with in order to prevent choosing foods with inaccurate nutritional values. The amount of calories you consume on a daily basis to maintain your weight is what I refer to as your energy equilibrium. Your energy equilibrium is constantly shifting based upon your calorie intake, age, activity, weight, gender, hormones, and lean mass. In the event you are consistently and accurately counting your calories and you are still not losing weight or you stopped losing weight, you may be consuming your energy equilibrium. If this is the case, you may need to lower your calorie intake or increase your energy expenditure to lose weight. As mentioned above, this equilibrium tends to shift based upon several factors. Therefore, just because a certain daily calorie intake resulted in weight loss before does not mean it will result in weight loss in the future. A simple decrease in calories or increase in activity can help you lose weight if you currently consuming your energy equilibrium. Generally, individuals hop on a scale and weigh themselves without any knowledge of the variability that comes with along their current weight. These variations which include food in the gastrointestinal tract, carbohydrate intake, salt intake, hormones, and meal timing could result in the false belief that your calorie counting isn’t working. From consumption to elimination, food stays in the body roughly two days! 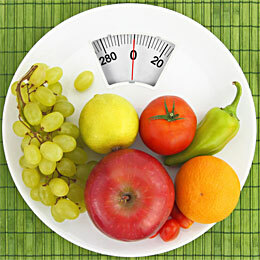 This time is dependent among several variables such as what you eat and how much you eat. 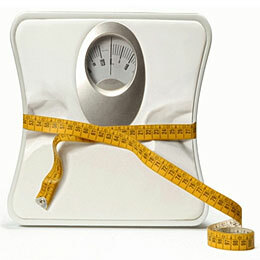 Therefore, the time an individual weighs themselves can have a direct impact on how much he or she weighs. For instance, individuals tend to be lighter after a full night’s sleep than they do after a full day’s worth of eating. 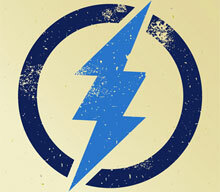 The G.I. Tract is just part of the variability in an individual’s weight. Did you know the average person can store anywhere from 1500 to 2000 calories in the form of carbohydrates? A person’s dietary carbohydrate intake influences their body’s carbohydrates stores which in turn influences an individual’s weight. An individual will naturally weigh more or less depending on the amount of stored carbs in the body which is dependent upon their daily carb intake. Consistently consuming around the same amount of carbohydrates daily can help regulate this fluctuation. Salt has no effect on fat loss or fat gain. However, it does have an effect on the body’s water retention. The more salt someone consumes, the more water the body will hold and vice-versa. Thus, if an individual has been consuming more salt than normal, he or she should expect some bloat. On the other hand, if an individual has reduced their salt intake, he or she should expect some weight loss from water shed. By consuming roughly the same amount of sodium daily, an individual can control this water weight fluctuation. If you think you have not lost weight from your calorie counting efforts, it could simply be the variability of your weight. 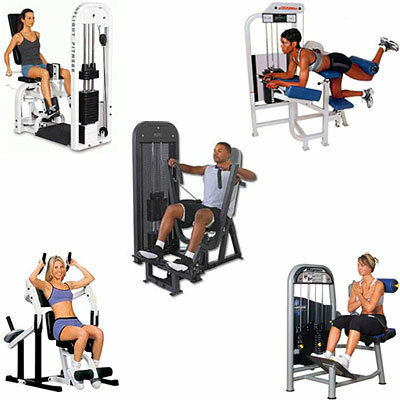 Therefore, it is always a good idea to include other tools to accurately measure your weight loss progress such as photos, clothing, and measurements. Calorie counting does work. Keeping a consistent and accurate food journal, being weary of the inaccuracies from restaurant nutritional information, being aware of food database inaccuracies from calorie counter apps, knowing when you are consuming your energy equilibrium, and being informed about daily weight variability will help you effectively use calorie counting as a successful weight loss tool. Does the Calorie Zig Zag Diet Work for Weight Loss?